It’s beginning to look a lot like… December! Everyone at Fabletics is definitely in the holiday spirit and we’ve all been sharing our favorite things to gift this season. Luckily, our new December collection has tons of great pieces that are perfect for giving (and getting!). Read on for some of our top picks. 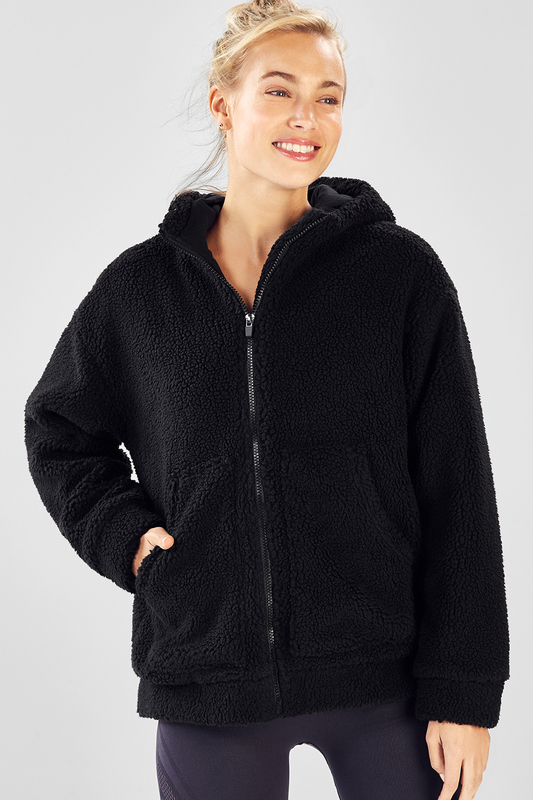 Give the gift of cozy—this amazing fleece jacket takes comfy to a whole new level. Quite literally, the warm fuzzies. “I have too many leggings” said no one ever. Sister, cousin, mom or aunt—these new prints make the perfect present for anyone on your shopping list. Need a good reason to hit the gym? Here’s one: a new strappy sports bra that’s going to look super cute under a slouchy off-the-shoulder top. Shop the new collection, 12/1!